Several hundred passengers could not leave airplanes after the landing in Keflavik airport. Gusts of the wind there are more than 50 knots (~25 m/s). Ground crew could not use ladders and other equipment to unload passengers and their luggage from the airplane. 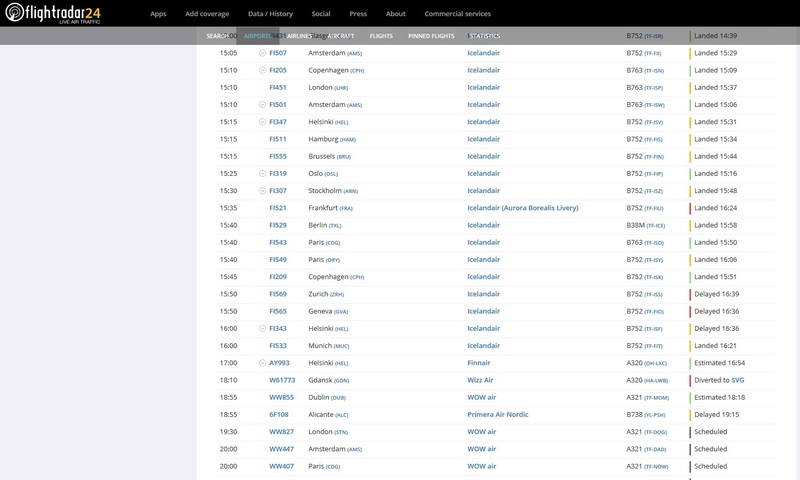 According to Meteorological aerodrome report (METAR), the wind in Keflavik airport now (at 16:30 UTC) is 36 knots (~18 m/s) with gusts 48 knots (~24 m/s). The gusts are on the edge of the limit, above which it is forbidden to use any ground equipment on a gate due to a possibility of its unwilling moving and damaging aircraft or people. However, the wind gusts were above the limit just 30 minutes ago (at 16:00), when the wind was 39 knots (~20 m/s) with gusts 50 knots (~ 25 m/s). The weather was even worse at 15:30 with wind 38 knots (~ 19 m/s) and gusts 52 knots (~ 26 m/s). Because of these about a dozen flights were delayed after they landed in Keflavik. According to Flightradar24, there are mostly flights of Icelandair from European destinations. According to Flugblogg’s source, who was on board of flight ICE347 from Helsinki, passengers were taken free only 1 hour since landing. We can remind you that in February people stuck inside planes for 4 hours due to the wind (read about in our previous report). According to internet map of winds, the reason of stormy weather in Iceland today mainly is a huge vortex to the west from the island. The air stream, which goes along the west coast of Iceland is speeding up to 30 knots near the ground surface. Strong wind is noticed not only in Keflavik but also in the capital area of Reykjavik. 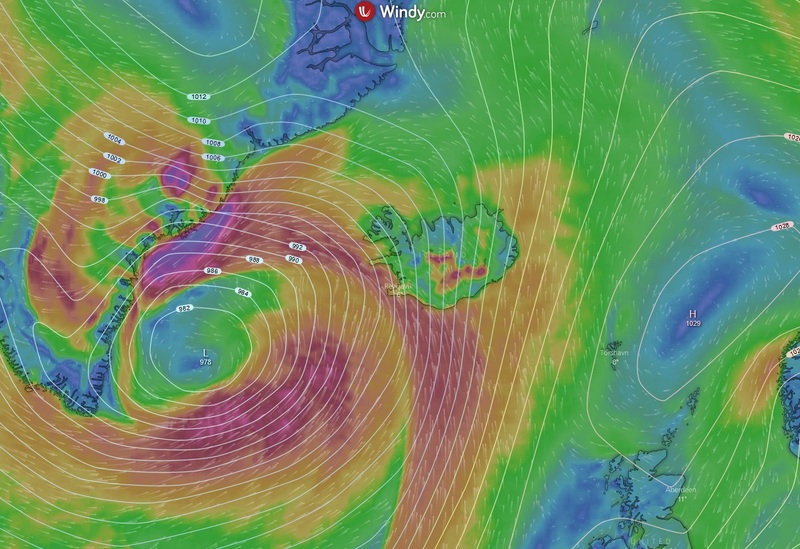 According to Terminal aerodrome forecast (TAF) of capital’s airport, the wind 33 knots with gusts 48 knots is expected in Reykjavik during the upcoming night from 22:00 to 02:00.